The News tool is the first bit of content that a student will see when they enter a course. This is a great way to welcome students, update students on upcoming due dates, inform students of events happening on campus, give a review of a class for absent students, or give the students valuable information regarding an online course. In the Course Home, select Create a News Item. A new window will appear, fill out the Headline and Content that you want the students to see. 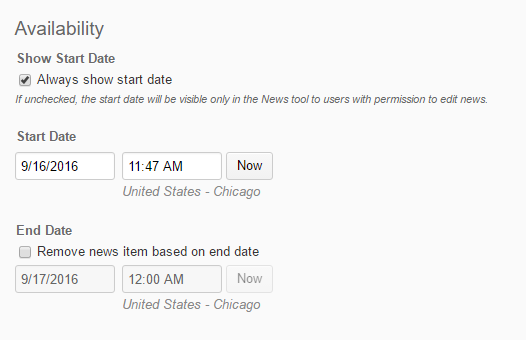 You can change the Availability to start now or a date in the future. You can also choose when the news item will end availability to the students. You can also add Attachments to the news item. 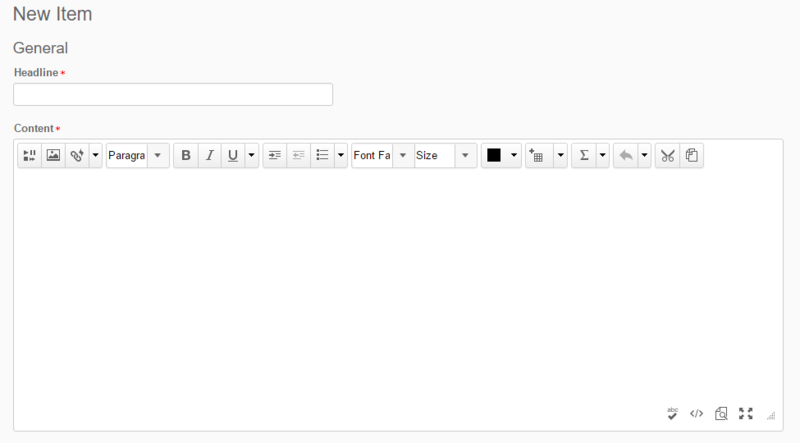 You can also create Release Conditions for the news item. Click Publish to publish your news item. To edit a News Item, click the drop down by the desired News Item. To delete a News Item, click the drop down by the desired News Item. You can either chose to delete News Items or dismiss them. Dismissed news items can be found when clicking on News. If you decide to dismiss News Items, you can also restore them later by clicking on the drop down by the desired news item and clicking Restore.